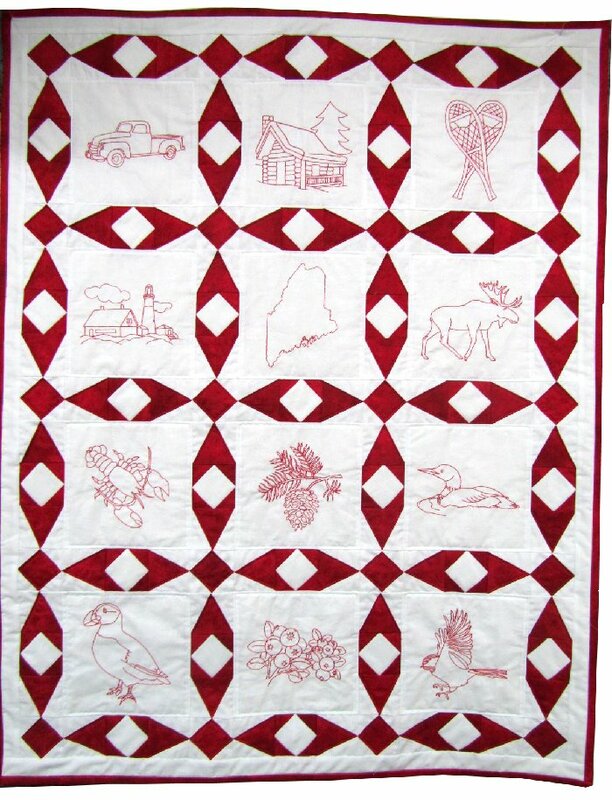 Quilt pattern, featuring 12 Maine-themed line drawings for hand embroidery. Maine-themed images include lobster, lighthouse, cabin, snowshoes, truck, state of Maine, moose, pine cone, loon, puffin, and chickadee. 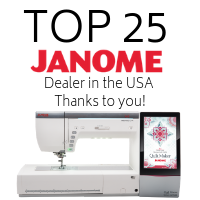 (If you wish to machine-embroider the images, our exclusive Maine-themed Machine Embroidery CD is sold separately). Finished size: 28" x 36"